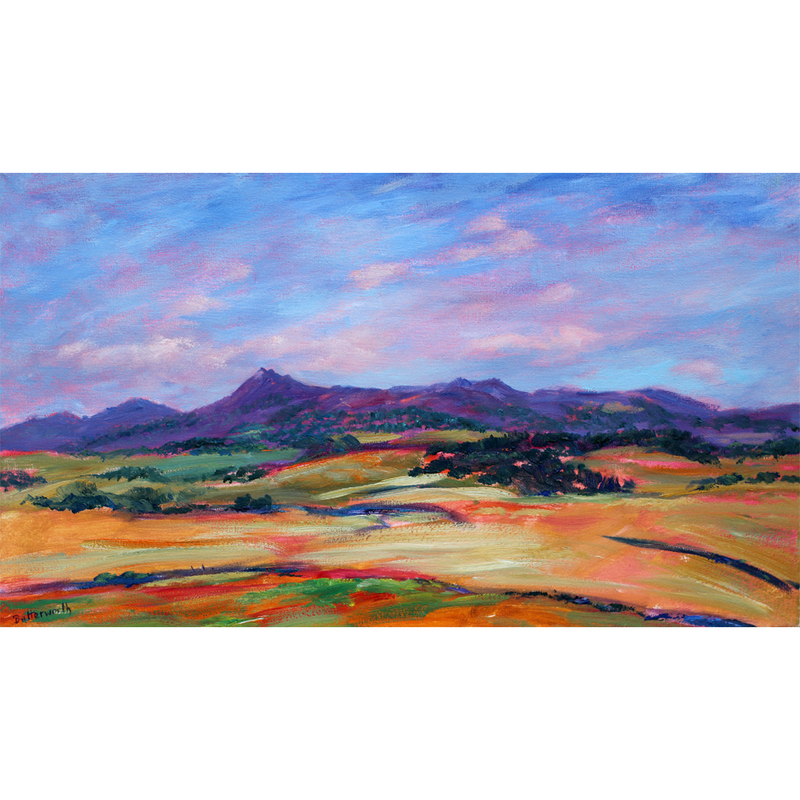 Bennachie in the evening sun painted in a free and colourful style. Canvas Size 14″ x 24″. An original piece of fine art painted in oil on canvas by Howard Butterworth and framed in a gold swept frame.